Cup Race Technology is packed full of technical details on NASCAR and other oval track racing, from Sprint cars to Dirt Late Models. This is a must read for everyone involved with, or interested in, the technical aspects of stockcar racing. The report looks at the whole racing car and how each area of technical ingenuity comes together to create the amazing oval track racers. 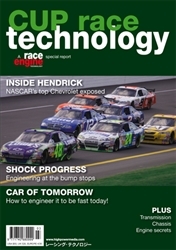 F1 Race Technology features input from many of today's top F1 technical directors and is written by Lawrence Butcher. The special report presents a unique in depth insight into the engineering and mechanics of contemporary Grand Prix racing cars, including focus features on particular areas of component development and a technical review of the current Formula One field. 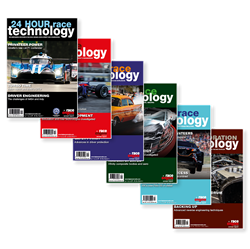 24 Hour Race Technology features input from many of today’s top 24 hour race car designers and is written by Lawrence Butcher. 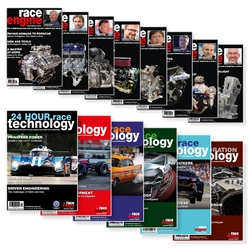 The special report presents a unique in-depth insight into the engineering and mechanics of contemporary Prototype sports-racing and GT racing cars. 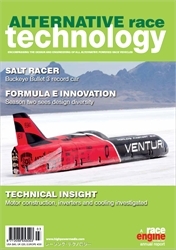 Race Restoration Technology is a special report investigating the engineering behind the rapidly growing sector of racing that covers historic vehicles. The report looks at all aspects of engineering and rebuilding these cars, from the 1900’s to 2000s vintage sports and formula racers. 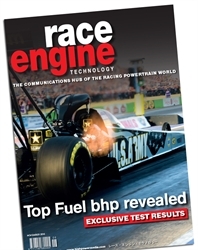 Drag Race Technology covers the most diverse, and the fastest growing, motorsport on the planet. We investigate the type of engines that power today’s runners and look at the fascinating machinery they power. This report reveals the cutting-edge engineering that goes into manufacturing a machine capable of producing, and handling, 8,000 (eight thousand) bhp. Rally Race Technology looks at the cars that compete on tarmac, gravel, dirt, even ice and snow. The World Rally Car really does have to be very versatile. It’s a 370 bhp missile that accelerates from 0-100 kph in under 3 seconds. The design and development of these cars has never been more deeply analysed. Everyone - Shipping charges will be shown and applied during the checkout process before the payment details section. The total cost including shipping depends on your delivery location and is: UK £108; Europe £129.60/155.52€; USA/Canada £135/$189; Rest of World £140.40. Would you like the subscription to automatically renew?